Four Mile Run Conservatory Foundation: Kudos (not Kudzu) to Girl Scouts! Kudos (not Kudzu) to Girl Scouts! 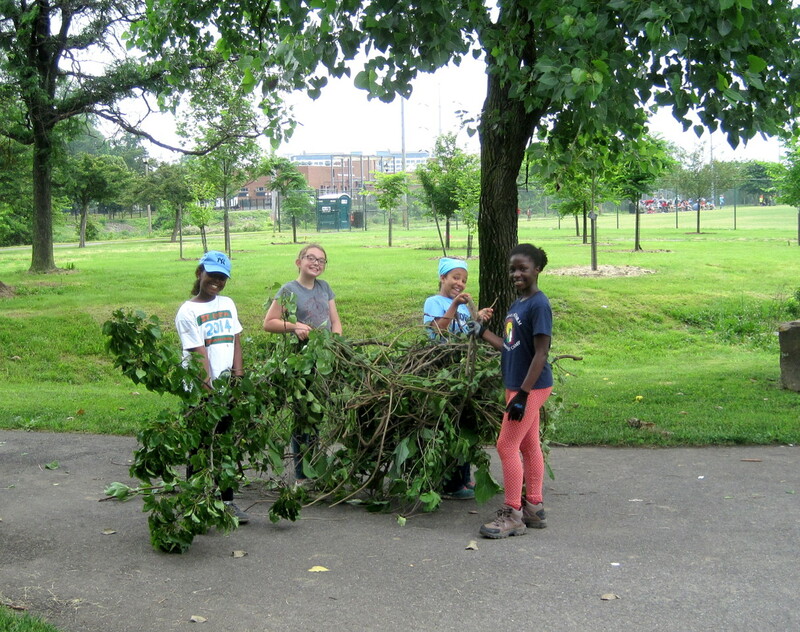 Girl Scout Troop 4117, sponsored by St. Rita's Catholic School, has been hard at work this spring improving Four Mile Run Park. 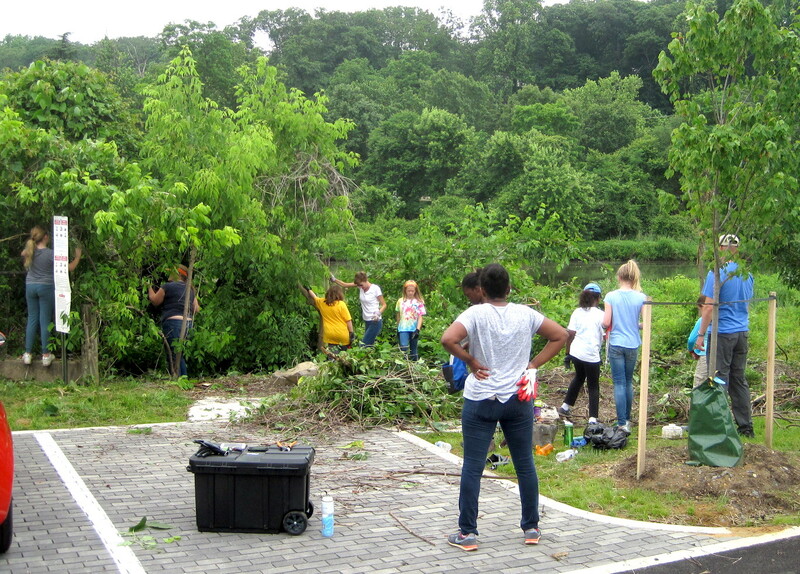 On Saturday, June 4, they spent a day of service at the park removing invasive species along Four Mile Run next to the Mount Vernon Avenue entrance. 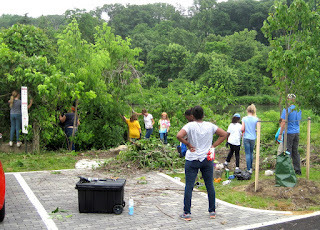 They found and removed plenty of kudzu and porcelainberry vines, and strategically pruned the lower branches of invasive callery pear trees to allow a view to the water. All in all, the group logged 45 hours of volunteer effort, rescuing several vine-covered native trees, and they removed enough invasive plant material to completely fill the large dumpster at the Conservatory Center--and it was jam-packed to the top! 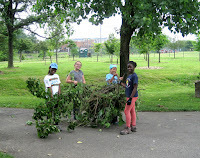 The previous week the same girls were out in the park mapping the locations of trash and recycling bins to help determine locations where additional bins are needed. The Four Mile Run Conservatory Foundation looks forward to the girls' continued efforts to improve the park, and we are grateful to them and their family members for volunteering!